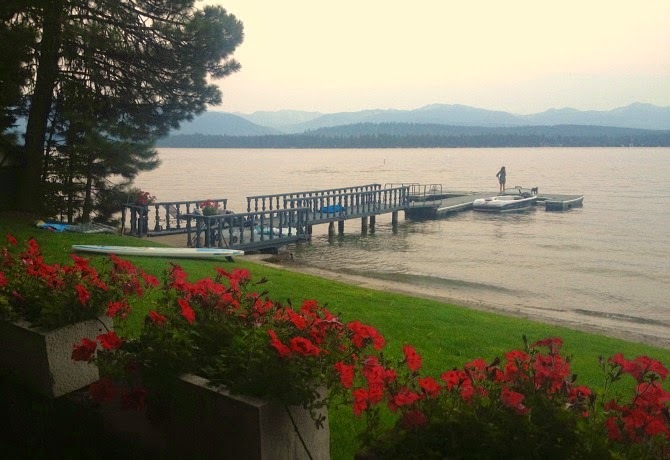 After the most epic wedding weekend in Sun Valley, my mom and I drove to McCall, Idaho to relax and hang out with family friends who have a home on Payette Lake. 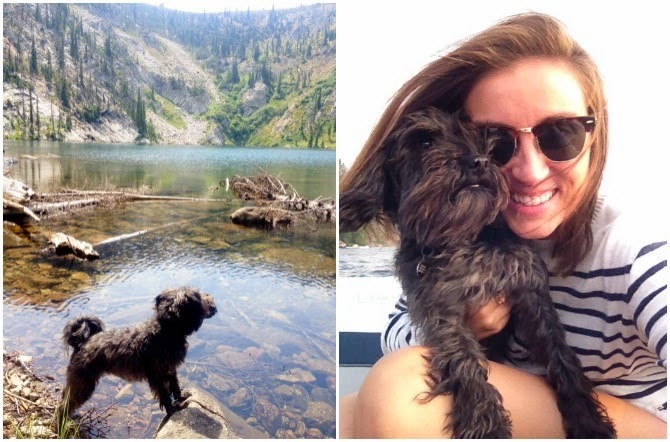 To say that McCall is a special place to me and my family would be putting it lightly—my mom was born in Boise to fourth generation Idaho natives, and grew up vacationing there her whole life, and my parents were married in the front yard of her family's lake house. I, too, grew up spending a few weeks each summer in McCall, and once I started working summers, the visits became fewer. I hadn't been to our beloved little mountain town in about a decade. Driving up the two-lane highway along the churning, bubbling Payette River brought back a lot of nostalgia for me. The air in those mountains is sweet with the smells of wildflowers, pine trees, huckleberries and dirt—it's absolutely transportive, and the same as it was ten years ago. I couldn't have felt farther from New York. We spent the next two days waking up early, eating well and hanging out on the lake. I waterskied for the first time in too many years, learned to stand up paddle (my new favorite thing! ), and put on flippers to swim up and down the beach, along our neighbors' docks. We hiked to Josephine Lake after a lunch of fresh baguette sandwiches and glasses of rose, and took a cocktail cruise in the boat one evening to check out how the shoreline has changed (and in many ways, stayed the same). 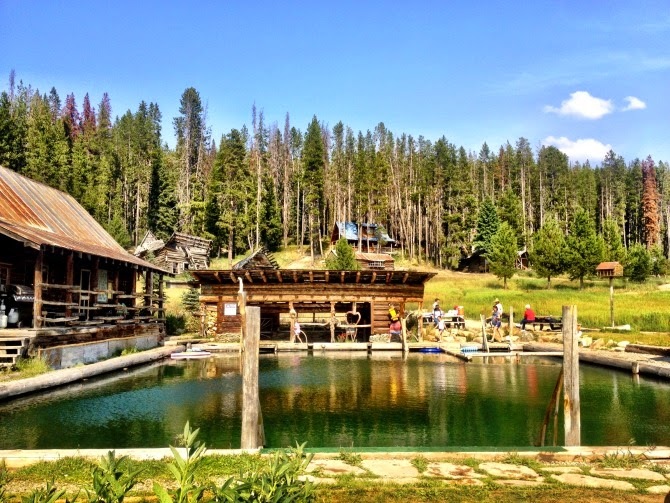 Bergdorf Hot Springs: Founded in 1855, Bergdorf is a historic little ghost town nestled in a beautiful valley in Payette National Forest. It is also one of my favorite places on Earth. This tiny cluster of cabins surrounds a big pool built over a natural hot springs. Fancy it ain't, but the natural beauty and restorative qualities of the water are worth the drive out. Pack in a picnic and try to go on a day when the weather isn't so great so you can make the most of the pools. Go up the Payette River: At the North end of the lake, you can rent all manner of canoe, kayak and paddle board to go up the placid waters of the river. You can also rent a boat in town to bring up yourself. The scenery is epic, and you can push your craft aground for a picnic on one of the sandy mini-beaches. Have a drink at Shore Lodge: McCall's most famous hotel got a serious makeover in my years away, and it's now a rather fabulous lakefront spot. Grab a table near the picture windows that look out on the lake and surrounding mountains and order the best $11 Manhattan you'll ever have. Hike, hike, hike (and fish! 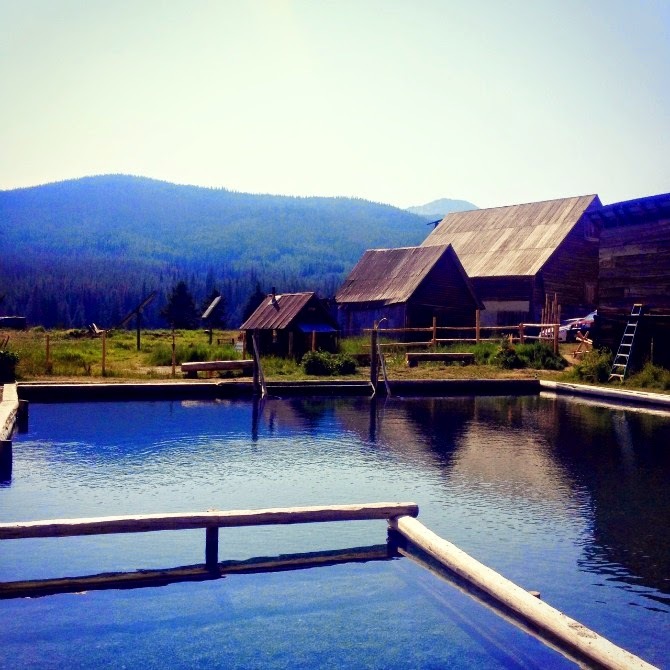 ): Hiking and fishing two activities Idaho does best. There are hundreds of hikes you can reach by car in the McCall area, but be prepared to drive on some pretty rugged roads. Part of the beauty of it is getting way, way out there on a one-lane dirt road spending an entire afternoon encountering less than a handful of people. I always like hikes that end at a body of water, of which there are plenty. Some trails are busier than others, but I recommend Louie Lake, Josephine Lake, Boulder Lake and Pearl Lake as well—all of which are pretty easy trails and great for fishing, too. Grab lunch at My Father's Place: This was my favorite spot to go for milkshakes and fries as a kid, and they recently celebrated their 25th anniversary. It's a McCall classic, and you can expect a little bit of a line on the weekends. Get a treat at Ice Cream Alley: Another McCall classic—I just love this little spot and their ice cream is amazing. Awesome! I grew up outside of Boise and we would visit McCall every summer. I haven't been back for quite sometime but absolutely loved it. Thank you for sharing! 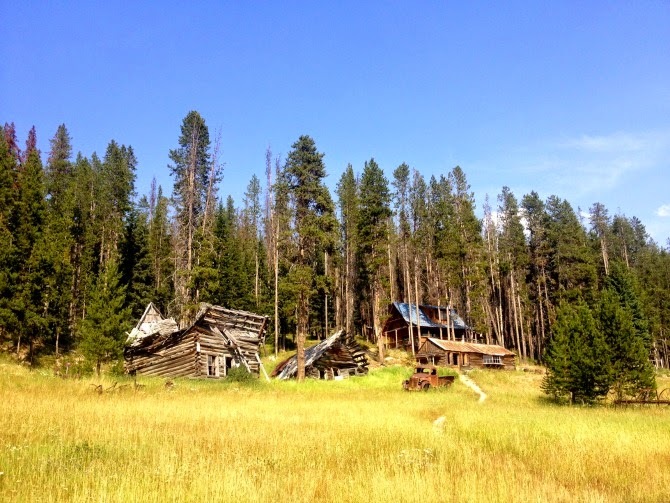 You know I love these posts about Idaho! These are beautiful photos! I've never been before but it looks amazing! Yay, PacNW love! Idaho is always more beautiful than I expect it to be. Boise is freaking adorable, too!